The SOS messages have been flying around for the past few months now. 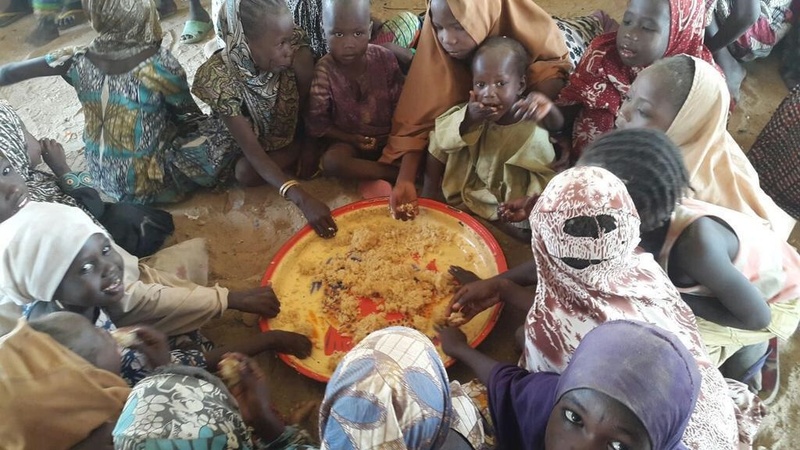 Hundreds of people displaced by Boko Haram insurgency risk dying of hunger. Humanitarian agencies had said several times that they were running out of funds and that they needed more money to keep the refugees alive. It is in response to this that the United Nations, UN has allocated over $10.5 million, about 3.2 billion naira to help the thousands of vulnerable in need of food to eat. The UN Resident and Humanitarian Coordinator in Nigeria, Edward Kallon, said that the fund would prioritise life-saving assistance to the victims of the Boko Haram insurgency. The National Public Information Officer, UN Office for the Coordination of Humanitarian Affairs (OCHA),Abiodun Banire, quoted Kallon as saying in Abuja that the humanitarian crisis in Nigeria’s north-east and the Lake Chad region is one of the most severe in the world today, with 8.5 million people in need of humanitarian assistance. “This crisis has caused an untold loss of life and liberty across the north-east of Nigeria and civilians continue to bear the brunt of the conflict. “These funds will go towards addressing some of the key priority areas in the humanitarian response that have not yet been financially supported,” Kallon said.